Thanks for choosing Product Customizer! 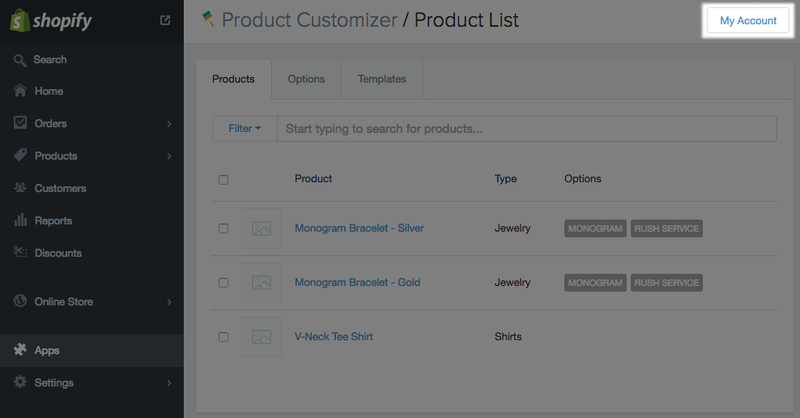 You're just a few minutes away from adding customization options to your Shopify products 😀. You'll be able to enter your myshopify URL and install the app in your store. A credit card is required to start your trial if you have not already added a payment method via Shopify; you will not be charged until the trial is over. This is needed since we bill the app via Shopify (who requires the card). If you choose not to continue with the trial and cancel while in the trial period, then you will not be charged. 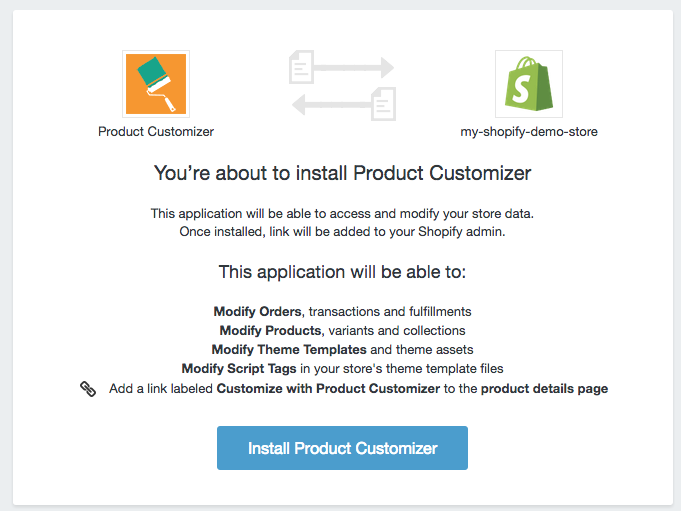 Click "Install Product Customizer" to complete installation. Once you've added the app to your store, you'll be able to choose whether you'd like to use the Basic tier ($9.99 per month) of the app or the Premium tier ($19.99 per month) the first time you access it from Apps > Product Customizer. You can switch to a Premium Plan at any point if desired following your use of the Basic Plan (see below). This will take you to the page where you can view your account information and switch which version of the app you'd like to use. Click on the "Start Now" button for the Premium Plan of the app to begin your trial. 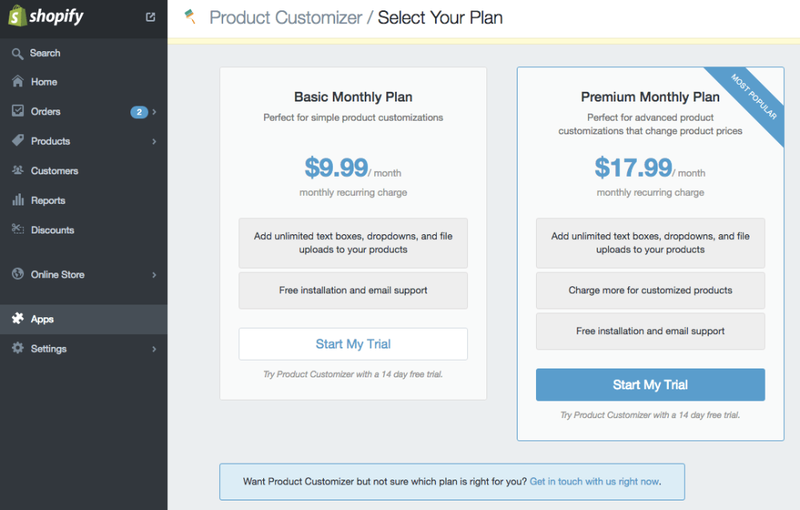 You'll have 14 days to try either of the Premium versions of Product Customizer. Once the trial is exhausted, billing will begin as part of your monthly Shopify billing.